PM Badawi has a RM60 million home in Perth? Tun Dr Mahathir Mohamad said that Malaysian Prime Minister Abdullah Ahmad Badawi has a RM60 million home in Perth, Australia. As expected. So does that mean our ACA Director is guilty as charged? (BERNAMA) The contract of Datuk Seri Zulkipli Mat Noor as the director-general of the Anti-Corruption Agency (ACA) which ends on Saturday will not be renewed, the Prime Minister's Office announced Friday night. While a directive was issued on Tuesday by Inspector-General of Police Tan Sri Musa Hassan to question Anti-Corruption Agency director-general Datuk Seri Zulkipli Mat Noor. (NST) "I have instructed Federal CID director Datuk Christopher Wan to have his officers call Zulkipli and record his statement," he said but declined to say whether this had been done. "I have not yet been briefed on the progress by my officers," Musa said, adding that 21 people related to the case had already had their statements recorded. He confirmed that among them were Sabah ACA director Mohamad Ramli Manan who had alleged that Zulkipli was involved in corrupt practices and had amassed considerable wealth which did not correspond with his income. Zulkipli has denied the allegations, which were highlighted by the Press and insisted that he was prepared to be investigated since he had nothing to hide. "These 21 people are essential to the case and their statements were recorded to facilitate investigations," he said. He also announced that a special 10-member police team, comprising senior police officers, was conducting the investigations and some of them would be involved in recording Zulkipli’s statement. "I’m confident that police will be able to solve the case soon and we will scrutinise all information received from all parties. I guarantee justice will be served fairly," he said after attending a blood donation campaign in conjunction with the 200th Police Day at the Police Training Centre yesterday. Musa declined to name the members of the team but it is learnt that they included officers from the CID and the Commercial Crimes Department. "Let them do their job. It is better they remain unknown as it will make the investigation process easier," Musa said. (MalaysiaKini) Dr Mahathir Mohamad stepped up his criticisms against the government today, arguing that the country is bowing to Singapore's demands, and that leaders would rather play golf to appease foreigners than defend the nation's sovereignty. Stating that Johor is losing its independence by allowing the free trade Iskandar Development Region to continue, he said Malays are allowing themselves to be colonised by foreign powers again, this time by the Israelis. The former premier's main contention was the government greenlighting the free trade area, which allows land ownership by foreign companies. He said Singapore would take advantage of such a situation. “Foreigners can come in without using their passports. They can build skyscrapers which could be owned by anyone,” he said during a public forum organised by Umno Kulai Besar branch. This was his first Umno-invited function of the year. “Who would come in? We all know that Singapore would. Even the Israelis can come in. They have an embassy in Singapore... They call me anti-Semitic, but it is a fact that anyone can come in,” he said to an audience of 500. The forum was entitled 'Malay leadership in the era of globalisation'. He said if Singapore had been mostly populated by Malays, there might not have been a secession. “Who knows what would have transpired in the event that the island was populated mostly by Malays ... Now we are surrendering this area to people who can enter without using passports,” he said in his two-hour speech, which was also spiced with humour. Mahathir said the Malays are under threat of becoming “enslaved” to foreign powers yet again. “I am not using racialism, but if we surrender our rights, who would come stand for us. Who can we depend on but ourselves,” he explained. He said Malaysia is losing its sovereignty over Johor and that the country's administrators are afraid of “foreigners”. “People have said I voiced my concern because the bridge is my pet project. My baby. Yang mana bukan saya punyan projek (Which is not my pet project?). I have been in office 22 years, a lot has been done,” he said. The former premier explained that the bridge is a necessity because of increasing traffic over the causeway. “The number of cars are not going to decrease. We have to plan ahead before it becomes a problem. The causeway was constructed in 1927... I'm not sure but I think by now there are a little bit more cars moving across the bridge,” he said. He added that he had sought cooperation from Singapore over the bridge issue, but in vain. “Twenty-two years in office .. mereka (Singapore) tak layan kita (They never entertained us). Saya pun tepuk belakang (I also pat people in the back). He's (former prime minister Goh Chok Tong) is quite tall. “But I didn't play golf. I don't know how to play golf. We never came to hugging though,” he said. “Now because we are afraid of them (Singapore), we play golf and pat them in the back,” he added. Mahathir pointed out that the bridge would allow ships to move from Pasir Gudang Port to the Tanjung Pelepas Port. “Even the water can pass through which would clear up the straits,” he said. “If Tunku (Abdul Rahman) were alive today, he would feel utterly disappointed because we gave up our sovereignty,” he said. Mahathir said the cost of the Centre of Immigration and Quarantine (CIQ) had shot from RM800 million to RM1.4 billion. “It is an increase of RM600 million in cost. This is an example of mismanagement. This is how we save our money,” he said sarcastically. Later, the former premier also defended the move for increased government expenditure during his tenure. “The money is there for a purpose. If we just kept the money under a pillow, its value would depreciate eventually,” he said. “Believe me, we have the money. From oil,” he said, citing Petronas' profit of RM86 billion this year. He also said the Malays were colonised for 450 years because they did not question the sultanate. He rehashed Malay politics from the end of World War II onwards, crediting much of the country's progress towards independence to Umno politicians such as Onn Jaafar, Nik Ahmad Kamil and Tunku Abdul Rahman. He said Umno fought the formation of the Malayan Union because of the public support. “People deserve the government they get,” Mahathir added without any hint of irony. Malaysian Bloggers are liar?!! The answer is a big NO. KUALA LUMPUR, March 29 (Bernama) -- The government has to find ways to curtail bloggers from abusing the Internet to spread lies and defame the leaders, said Datuk Ismail Sabri Yaakob (BN-Bera). "We notice that a lot of bloggers have been sowing the seeds of discord among the races, religions... I believe there must be a limit," he said in a debate on the royal address in the Dewan Rakyat here today. He felt that there ought to be a law governing bloggers like those imposed on the print and broadcast media. "The people believe more in the bloggers than the newspapers... I am aware that a newspaper was censured by the Internal Security Ministry for publishing a sensational story but the bloggers could continue churning out malicious stories," he said. Ismail Sabri also proposed the promulgation of an aerospace policy and law like those of the United Kingdom, Russia, United States and South Africa to protect the government and industry. "From what I understand, although microsatellites were launched by the private sector, if there were a mishap, the government has to bear the consequences as the application was made by the government," he said. Datuk Hasni Mohamed (BN-Pontian) felt that cable television network Astro should come under the purview of the Broadcasting Act 1998 under the ambit of the Information Ministry and not under the Energy, Water and Communications Ministry. He said this was to ensure that Astro would adhere to local values, culture and needs. The sitting resumes on Monday. Is this the END of the road for PROTON? KUALA LUMPUR, Malaysia (AP) -- Malaysia's government said Wednesday it may not be able to finalize a foreign alliance for national car maker Proton by the end of March as previously expected. "I cannot say for sure," Deputy Prime Minister Najib Razak told reporters in response to a question on whether the government would announce Proton's new partner by March 31. Proton has been considering partnerships with either Volkswagen AG and General Motors Corp. after the recent pullout of France's PSA Peugeot. Treasury and trade ministry officials have not presented the necessary evaluation to a Cabinet committee handling the issue, Najib said. Proton last month reported its consecutive straight quarterly loss, and analysts say a foreign strategic partnership that can provide Proton with technology and access to the international market is crucial for its long-term survival. Peugeot said earlier this month it called off talks about possible industrial collaboration with Proton, saying the "right conditions for a successful project weren't in place." OF LATE, there has been a lot of blather about bloggers from people in high places. Bloggers are apparently prone to lying, rumour mongering, and are not credible or authoritative. Some even go so far as to charge that bloggers can cause disharmony among our people, leading to that old bogey, inter-racial violence. It's all a bit puzzling, given this country's embrace of the Internet and desire to build a knowledge-based economy. As the eleven million Malaysians on the Internet will attest, once you're on, you're on; there is no turning back. Otherwise, why would there be websites for everything, including for government ministries? As many writers (especially those online) have pointed out, the only people really complaining about blogs are politicians. Obviously one only complains about something that makes one uncomfortable. Why blogs should make politicians uncomfortable is of course up to anyone to surmise. But it does look as if some events are not just coincidental. For instance, recently there have been some allegations of high-powered hanky-panky that originated on blogs, mostly to do with large sums of money. Now whether they are true or not, doubt certainly has been put in the public's mind about some people. Therefore the proper thing to do is to investigate quickly to ascertain whether there is any basis to the allegations. If not, come out loud and clear that the poor guy is innocent. If they are true, then take the proper course of action. Instead, the immediate reaction has been to divert attention by creating doubt in people's minds about the Internet in general and bloggers in particular. The objective of this is possibly to allow for any allegations that surface on the Net to be pooh-poohed as just some fanciful stories, and of no need for any attention. Memos are sent out, and calls are made to various media not to pay any credence to anything interesting on the Net. If the reputation of the messenger can be sullied, then there is no need to take any action on any allegation at all. Which sounds fine, except that of course the reputation of the person accused will never be cleared at all. The bad smell lingers. In the end, it is unfair to both innocent parties and the public. Some people have likened blogs to surat layang, those nasty anonymous diatribes against people that circulate and are read with the same voraciousness as gossip magazines. But there is a huge difference between those letters and blogs. For one thing, many blogs are not anonymous, unlike the writers of surat layang. Therefore bloggers who write under their own names are taking responsibility for what they are saying. Secondly, unlike surat layang, one can always instantly respond to a blog posting by simply posting a comment. The more intelligent your response, the more likely you are to persuade people that what's reported in the blog is not credible. Indeed, one way for politicians to counter what they view as untrustworthy and non-authoritative blogs is to start their own blogs. Since they view themselves as very credible straightforward people, whatever they say on their blogs must surely be persuasive. In the US, politicians are increasingly turning to the Net to promote themselves, and it has worked well for many of them. Therefore, it is surely time for ours, especially those on the government side, to join in. As they say, if you cannot beat them (and you cannot), then you might as well join them. Indeed, there are several politician blogs that could be very popular. The only thing, however, is that politicians must be prepared for the Net to bite back at them. Unlike ceramahs to supporters and cosy chats to compliant reporters, netizens have a tendency to talk back, and not always very politely. If they think you are talking garbage, they will tell you. The only solution to this is to not talk garbage, which apparently some of our politicians find very hard to do. Perhaps this explains their reticence in embracing the Net. After a whole day of trying to figure out how to attract more development money one's way, the last thing anyone would have energy for is to answer aggressive questioning about some new policy. Or how one built one's new house. Worst of all, such grouchy foot stomping about the Net only makes politicians look outdated and out-of-touch. Telling the mainstream media not to look to blogs for information only backfires. It makes the mainstream media look stupid and raises the profile of blogs, justifiably or not. Some blogsites get more than one million hits because they talk about things the papers won't. It's an irreversible tide. Might as well flow with it, or risk drowning. Event : “Majlis Seminar Melayu ke Arah Globalisasi"
Former UMNO President and Prime Minister Tun Dr. Mahathir Mohamad has been invited to speak at a seminar, organised by one of the Kulai UMNO Division local branch on Thursday (29 March 2007) afternoon. This is Tun Dr. Mahathir’s first speech on the political platform since the one in Johor Bahru, 10th February 2007. The event called “Majlis Seminar Melayu ke Arah Globalisasi” and it will be held at Dewan Putri, Kelab Taman Putri, Kulai, Johor on Thursday, 29 March 2007 at 3.30 pm. This is Tun Dr. Mahathir’s first speech on an UMNO platform, this year. The last time he was invited to speak at an UMNO organised event was last year in Johol, Negeri Sembilan. He has been a strong critic on few issues based on the decisions the current administration has made and changed. Tun Dr. Mahathir is very pleased that UMNO organisations are inviting him to speak and has said will continue to speak as long as the UMNO members wants him to do so. Tun Dr. Mahathir complained no less than 14 events which he was invited to speak were canceled because the organizers were put under “pressure” not to have the event proceed. He suffered a mild heart attack last November after a hectic schedule and trips abroad. However, his spirit to meet the people, especially UMNO members is not dampened despite the strong advice by his physicians for him to reduce his engagements, especially involves traveling. PM, So when can we enjoy cheaper petrol? Just tell us when. KUALA LUMPUR, March 26 (Bernama) -- The government will maintain the retail prices of petrol and diesel for now although world crude oil prices have dropped. Prime Minister Datuk Seri Abdullah Ahmad Badawi said that this was because world crude old prices had not really stabilised and remained unpredictable. "In terms of subsidies shouldered by the government for petroleum products, the amount remained high at RM7.3 billion in 2006, not a big difference from the RM8.15 billion in 2005 although crude oil prices dropped in the last quarter of 2006. "In fact, in the first two months of this year the subsidy amount had already exceeded RM0.5 billion," he said in his written reply to a question submitted by M. Kulasegaran (DAP-Ipoh Barat) at the Dewan Rakyat sitting here today. Kulasegaran had asked why the retail prices had not been reduced although world crude prices had dropped and the national oil company Petronas having made huge profits when the prices were high. On Petronas' profits, Abdullah, who is also Finance Minister, said that it was not disbursed directly to the people but more in the form of dividends, royalties and via the spending of tax revenue. "The money obtained from Petronas is credited into the Consolidated Fund and used for operating and development expenditure for the benefit of the people through the annual budget," he said. Being a business entity, he said that Petronas also used part of its profits for re-investment to generate more profits besides for its operating and management expenditure. To another question by Datuk Baharum Mohamed (BN-Sekijang), the Prime Minister said that the retail prices of petrol, diesel and cooking gas (LPG) in the country were fixed by the government through its Automatic Pricing Mechanism.. He said that this was to ensure that the people could afford them and avoid inflationary pressures when prices shot up in the world market. "To enable the prices to be fixed and controlled, the government gives tax exemptions and pays subsidies, whereby if the cost exceeds the fixed prices, the government bears the difference," he said. The government, he said was also prepared to let market forces dictate the prices, but this would be approached carefully. "This has to be treaded carefully as the people can be unnecessarily burdened by price fluctuations. If such a scenario happens the government will have to step in by resorting to tax exemptions and subsidies again to ensure the situation does not get out of hand," he added. The "dream team" that can withstand the power of a tsunami? (The Star) Datuk Seri Najib Tun Razak has been a target of the opposition parties who have been casting doubt on his relationship with the Prime Minister. But ties between the two top men remain solid. THE Prime Minister sportingly covered his ears with both hands last week when reporters asked whether he had found a bride. He was clearly tickled for he was smiling broadly as he walked off rather too quickly after telling the press corps that it was “too late” to ask more questions because the press conference was over. It was not the first time Datuk Seri Abdullah Ahmad Badawi had been asked about talk regarding his remarriage. He had on an earlier occasion suggested that rumours about his marriage were, well, just rumours. The same week in Pekan, Deputy Prime Minister Datuk Seri Najib Tun Razak was brushing off rumours of another kind – that there were problems with his boss, the Prime Minister. Najib said his relationship with Abdullah was extremely close and there was no basis to stories that they had difficulties. Relations between them or, for want of a better word, their “political marriage,” was not on the rocks. “Even a tidal wave will not shake us,” he added. It was not the first time Najib had touched on the PM-DPM relationship. Najib often dwells on issues about party and politics when he is in his home state and before an Umno grassroots audience. He knows how susceptible the ground is to talk of rifts at the top. He realises his home base must always be well informed about issues especially when the issues concern him and the party. “He is always telling them that his role is to support the Prime Minister in his programmes and policies,” said his press aide Datuk Tengku Sharifuddin Tengku Ahmad. Still, the opposition parties and political blogs have been full of innuendoes and claims that Najib has fallen out of favour with Abdullah, that he will be sidelined or even that he will be forced to challenge the No. 1 post. Nothing could be further from the truth. “Relations between the PM and DPM can be categorised in one word – excellent. It's the foundation and bedrock of the stability and strength of the party at the moment,” said Umno Youth deputy chief Khairy Jamaluddin. Khairy himself had a hellish year in 2006, a victim of rumour mongering, or as some of this friends put it, blog mongering. He has survived the experience, ignoring the allegations for much of the time and refuting them when he needed to. He said that from where he stood in the Youth wing, he could see that the relationship between the two top men was based on trust and confidence, without either one having to second guess the other. The Prime Minister, Khairy added, has shown the spirit of leadership in delegating key tasks to his deputy whereas Najib has proven, in words and action, the good deputy that he is. “They are the dream team, the most important partnership in the country today. They reassure the younger generation like me of the country's political stability for the next few decades,” he said. And as a number of people have noted, Abdullah's trust in Najib could not be better demonstrated than in his asking Najib to chair Cabinet meetings when he has to travel out of the country. “This is one PM who is very confident of his power. He sees himself as a manager and he is not afraid to delegate. Many are not aware that the PM and DPM are always in touch with each other, discussing and consulting, even when one of them is overseas,” said Datuk Reezal Merican, political secretary to Abdullah as Finance Minister I. A great deal of the speculation surrounding Najib also has to do with the intense public interest over the case of the murdered Mongolian woman and the fact that one of those charged is Razak Baginda, a political analyst close to Najib. The opposition parties have exploited the issue no end at their ceramah, making some pretty outlandish allegations. “The matter is now before the courts and it's good that the trial will take place sooner than later. Razak Baginda should have his day in court, justice should take its course and the facts allowed to come out. “You can't stop people from talking about something sensational but if people have to talk, it is better they talk about the facts of the case rather than on things plucked from thin air as what's happening now,” said Omar Mustapha, a former Najib aide and now principal partner of the strategic consultancy firm Ethos & Co. But conspiracy theories about Umno politics are unlikely to dissipate and there will always be an appetite even within Umno for alternative versions of news and events. The reason is that the general understanding of ties between Umno's No. 1 and No. 2 is still largely based on the way Tun Dr Mahathir Mohamad conducted his relationships with his four deputies during his 22 years in power. “Succession was not a guaranteed thing under Dr Mahathir. So you can't blame Umno members for thinking that the No. 2 post is not a safe post. I keep telling people they have to change the way they see things in Umno because Pak Lah is not Dr Mahathir. Things are quite different now,” said a political insider. Given that, Abdullah deserves a great deal of credit for the positive working relationship. Abdullah is naturally warm and trusting and it is this embracing personality of his that has largely defined their relationship. His political style is not one of slash-and-burn and his path up the political apex has not been at the expense of others. He has shown immense generosity of spirit to his deputy from day one, making no secret of his regard for Najib's late father Tun Razak Hussein who was a mentor figure to him. He has even described himself as the political son of Razak. “There is good chemistry between PM and DPM but Tun Razak is the common bond for them,” said Deputy Information Minister Datuk Seri Ahmad Zahid Hamidi. The opposition is also unlikely to lay off Najib as a target in the months to come. “They cannot take on the General, so they go for the next main man. For as long as the No. 1 and No. 2 are on solid ground, opposition politicians like (Datuk Seri) Anwar Ibrahim have no chance of making any sort of comeback. That's why they need to make up stories and create issues,” said Omar. Another current topic among the opposition is that Najib will get impatient in his position as No. 2. “He is still young, he will wait. Besides, his political history is such that he has not toppled anyone to go up,” said Johor Baru MP Datuk Shahrir Samad. Besides, Najib is not about to make the same impatient mistakes that Anwar committed. Instead, he is likely to take a leaf from his own father who was a loyal and patient No. 2 to the first Prime Minister. Said Ahmad Zahid: “I've been watching them. They are very comfortable with each other; you can see it in their body language. At the same time, Datuk Najib is always very proper towards the PM, he does not act or speak out of turn. PUTRAJAYA: Tun Dr Mahathir Mohamad has no plans to get “involved” with the People’s Progressive Party (PPP) and will not accept any offer to play a role in the movement. “I am not involved with PPP, even if there is an offer. But no-lah, tak ada (no, there is none),” he said when met after the Aman Malaysia charity event on Wednesday to raise money to build a mosque in Pattani, Thailand. DPM, So when is the next election? KUALA LUMPUR, March 23 (Bernama) -- Deputy Prime Minister Datuk Seri Najib Tun Razak says the government does consider itself facing any pressure to call for a general election. "There are no pressures actually. Not that the government has insufficient majority. There are no big issues and so on. "Besides people are fond on making election speculations, I don't think we are under any form of pressure to hold a general election," he said in a special interview shown by RTM1 tonight. He said the general election would be held when Prime Minister Datuk Seri Abdullah Ahmad Badawi set the most suitable time. Asked on how Barisan Nasional (BN) would fare in the next general election, Najib said: "We are confident... but to retain the 2004's extraordinary achievement will not be that easy. "To obtain an excellent achievement in an election is one thing. To retain the success and excellent record is more challenging," he said. He said to defend the excellent record was a big challenge to all levels in the party. Asked on the RM7.6 billion allocation for Kelantan even though the state was governed by the opposition, Najib said the government's main objective was to ensure the people's wellbeing. "The message is we don't adopt the attitude of causing hardship to the Kelantan people for not supporting the BN. We take a more open stance that it is important for us to promote the people's wellbeing. "Politics is politics. Hopefully, the Kelantan people can value the federal government's sincerity to bring changes to Kelantan and hopefully, with this open attitude, they will support the BN government in future," he said. (CNA) In its biggest and boldest move to attract more foreign investment, Malaysia is scrapping, in Johor's new economic zone at least, policies that have favoured bumiputeras — the ethnic Malay majority — since the 1970s. While the details have yet to be spelt out, foreign investors in Johor's Iskandar Development Region (IDR) will not be encumbered with providing 30 per cent equity to a bumiputera partner. The move is aimed at creating a new engine of growth in Johor's southern part so that over the next five to 20 years, it will grow into a major regional financial and manufacturing hub, providing jobs for 800,000 workers. Separately, the Government is abolishing property gains tax in Malaysia to boost the flagging property market and lure foreign investment. While lauded in the early years, the pro-bumiputera policies — which seek to raise the Malay share of the economic pie to 30 per cent — have since been criticised for having been abused. Hence, analysts say their abolition in the IDR is a crucial step forward towards attracting foreign investment. Development of the vast 2,200 sq km IDR, more than three times the size of Singapore — and packed with infrastructure, homes, offices, theme parks, hotels, factories and hospitals — will require a massive injection of funds. Estimates are 50 billion ringgit ($20 billion) over the next five years, rising to $160 billion over 20 years. Luring investment over, when it is being sucked into countries like China and Vietnam, is not going to be easy. "Competition for global investment will become increasingly intense," said Prime Minister Abdullah Ahmad Badawi at an investment conference in Kuala Lumpur yesterday. Malaysia, South-east Asia's third largest economy, saw foreign direct investment in 2005 falling to 15 billion ringgit from 17.6 billion ringgit in 2004. Figures for 2006 are not available yet but Mr Abdullah is not waiting for them to confirm the falling trend. He announced tax incentives — exemptions from corporate income tax and the withholding of tax on certain payments for 10 years — to draw investors to the IDR. Will there be rumblings within the bumiputera ranks since the group has long enjoyed privileged access to government contracts? Johor's Chief Minister, Mr Abdul Ghani Othman, speaking on the sidelines of the conference, insisted he did not fear any political fallout, saying that foreign investment rules favouring bumiputeras will be relaxed in the IDR "in defined areas of certain kind of activities". Mr Abdullah said fiscal incentives would cover six key sectors — creative industries, educational services, financial advisory, healthcare, logistics and tourism. "It shows that at the top ranks of the system, there are people thinking well," said Singapore economic analyst Manu Bhaskaran, according to Bloomberg. The bumiputera policies and all the related problems, he said, do turn off foreign investors. Hints that Malaysia would scrap its policies favouring bumiputeras surfaced early in the week when IDR adviser, former Deputy Prime Minister Musa Hitam, said such a move was necessary to attract foreign investors to the project. Contract awards "will have to be on merit," Mr Musa, the deputy leader from 1981 to 1986, told Bloomberg on Monday. "The Malays will have to face competition." But the modern bumiputera businessmen were no longer inept, he told Today. To help foreign investors pick the right bumiputera companies to be their partners or subcontractors, the Government was in the process of preparing a register of companies, detailing their past projects, and grading them according to the level of proficiency with which they handled the projects, he said. Six companies from Singapore — two of them major ones — are also interested in Johor, Malaysia's High Commissioner to Singapore N Parameswaran told Today. So websites and blogs are not a reliable source of news for Malaysia? (MalaysiaKini) The Internal Security Ministry has warned mainstream newspapers in the country against quoting and publishing "anti-government articles" from online portals and blogs. The March 13 letter, which was sent to the country's top editors, was signed by the ministry's Publications Control and Al-Quran Texts Unit senior officer Che Din Yusof, on behalf of the ministry's secretary-general. Malaysiakini has obtained a copy of the circular from a source. The ministry reminded newspapers that under Section 8A(2) of the Printing Presses and Publications Act 1984, it is the responsibility of newspaper editors to take reasonable steps to ensure the correctness and truth of news before publishing them. "As a responsible newspaper, the owner must observe the principles and code of ethics of journalism, which among others is to ensure that every news report must have a sound and proper basis. "It would not be advisable for a mainstream newspaper to play on public sentiments and deliberately go against the basic principles of journalism as this could undermine stability and national security." Such an action, the letter stressed, would not be in conformity with the "principles of openness and truth as desired by the government". In the circular, the Internal Security Ministry also reminded mainstream newspapers not to publish or "give any consideration whatsoever" to online articles which are found to have no basis at all, or based on mere speculation. In a thinly veiled threat, newspapers are reminded that condition 11 of their publishing permit requires them "to follow and not to act against" such directives issued by the ministry. It's just a "myth" rumour?? PEKAN, March 17 (Bernama) -- Deputy Prime Minister Datuk Seri Najib Tun Razak refuted rumour in the internet that there are differences between him and Prime Minister Datuk Seri Abdullah Ahmad Badawi. Describing the rumour as a "myth", he said his relationship with the Prime Minister was very close and strong in steering the country's development. "Being the number two in the country, I always strive to assist the Prime Minister in the country's administration and so on for the good of the country. "Don't listen to the stories in the internet...they are all a myth," he said in his speech at the Pekan Village Development and Security Committee (JKKK) gathering and lunch, here. Najib said efforts by certain groups in holding ceramah to criticise him including in the Pekan parliamentay constituency were aimed at poisoning the mind of the people against him. "We should not react hastily, we must stick to principles and the truth...what is important is that we understand and know who will help us," he said. The Deputy Prime Minister said the people were now capable of evaluating the country's leadership and had the right to choose the best and most suitable leader. "This year, we will be celebrating the 50th anniversary of the country's independence, and we should be thankful for being citizens of Malaysia which is developed and strong compared to some other countries. "This achievement can be attributed to several factors and one of them is effective leadership because we have had leaders with vision, dedication and well planned programs for the good of the people," he said. As such, the people must be together with the government to remain united in continuing the country's development agenda, Najib said. (The Star) PETALING JAYA: A video clip of Mongolian beauty Altantuya Shaariibuu, whose body was blown up in Shah Alam last October, has been posted on the popular video sharing website YouTube. The four-minute video compiles some of her pictures with a narration in Mongolian by her father, Dr Shaariibuu Setev. Former journalist and blogger Susan Loone, who posted the video on www.youtube.com, said the video was only a human-interest piece and there was no new information about her murder case. Loone also posted an English translation of the narration on her blog May the Truth Save Us All (sloone.wordpress.com). “The video was specifically meant for me to use on my blog. It is to remember Altantuya. There’s no other reason. mStar learned that Dr Shaariibuu had sent the video to Loone, which contained recordings of Atanshagai, through a close friend in Mongolia after she asked for it. Dr Shaariibuu said Altantuya was happy with her life as a mother although her burdens grew after giving birth to her first son (Mungunshagai, nine), following her relationship with hip hop singer Maadai, 32. It was reported that her second son Atanshagai’s DNA was tested on Thursday and the result would be known today. PM, so who are those that ridicule Islam Hadhari? KEPALA BATAS, March 16 (Bernama) -- Datuk Seri Abdullah Ahmad Badawi today hit out at those who ridicule the concept of Islam Hadhari which has been well received by all races in the country. The Prime Minister regarded those involved in such action as making a big mistake and should correct themselves. "Islam Hadhari is an effort based on the Quran. "We have had problems since the days of yore and we would rectify them, because human beings stand to be corrected," he said when launching this year's national-level Islam Hadhari Village programme at the Millennium Hall, here today. Abdullah said Islam Hadhari was pure and would not create conflicts between Muslims and non-Muslims, but would instead bring progress to the nation and ummah (community). "Muslims of different sects should also not have any problems with the implementation of Islam Hadhari principles," he added. He said the people in this country would not face problems if they practised the Islam Hadhari principles which had attracted the interest of other Muslim nations. "Islam Hadhari carries universal values like honesty and justice, and places importance on the pursuit of knowledge, economic progress and environmental preservation, and covers all spheres of life." He said many intellectuals, academics and religious leaders from countries including Germany, England, Australia and New Zealand had viewed the concept as practised here, from a good perspective. "Before this, Islam had often been associated with violence, which gave a negative picture of the religion among non-Muslims." Abdullah said many Muslim countries were plagued by poverty as they could not master knowledge due to illiteracy. "Without knowledge, they remain poor and are easily swayed by other forces to the extent of committing acts which are totally against Islam. "Poverty and illiteracy result in backwardness which undermines the image of the Muslim community at large and the sanctity of Islam." The Prime Minister hoped that Muslims could etch into history their creation of a glorious Islamic civilisation. "If a community remains backward, exploited and violated against by others, surely its history becomes an embarrassment. "But if it is outstanding in various aspects, it will have a glorious history. "To have a glorious history and civilisation, we need to have excellent human capital that is strong in all aspects. "In light of this, the country aspires to create as any scientists and intellectuals as the catalysts for progress in this modern world." Abdullah said until today, there had been no Islamic superpower in this world as Muslims failed to unite and what happened in some Muslim countries should be a lesson for all. The three-day Islam Hadhari Village programme will have various activities including an exhibition and Islamic cultural performances. Tun Mahathir Mohamad : "Singapore doesn't really care about the opinion of its neighbors. Singapore believes the most important thing is what profits Singapore." (IHT) Some countries have strategic oil reserves; others stockpile rice or wheat. The island nation of Singapore has emergency reserves of imported sand. The sand is there to secure Singapore's insatiable demand for concrete, a reminder of Singapore's vulnerability as a nation without a hinterland to supply it with vital resources. Singapore's government is now being forced to tap its sand hoard after its usual supplier, Indonesia, abruptly banned exports in February, citing the impact of a recent Singapore construction boom on its beaches and island environments. The ban touched off the latest in a string of disputes between Singapore and its neighbors over water, land reclamation, satellite concessions, corporate takeovers and the flight patterns of the Singaporean Air Force — just to name a few. A Malaysian politician has blamed Singapore for worsening floods in his constituency. A top Indonesian politician has appealed for the recall of Singapore's ambassador. The general in Thailand who led the coup there last September has accused Singapore of tapping his phones. Tiffs between Singapore and its neighbors are nothing new, and analysts say the latest dust-ups are unlikely to seriously harm relations. But the analysts say that the recent quarrels highlight the fissures that continue to thwart the region's ability to compete collectively against the economies of India and China. If Singapore and its neighbors cannot agree to share such basic resources as sand and water, they say, the dream of a single market by 2015 — the stated goal of the 10-member countries of the Association of Southeast Asian Nations — may be illusory. "They're more competitive with each other than natural allies," said Robert Broadfoot, managing director of the Political & Economic Risk Consultancy in Hong Kong. The disputes also raise questions about Singapore's drive to expand its investments in the region. Singapore's advances appear to be aggravating what might be described as a personality conflict between what is one of the world's richest countries and its much larger, but much poorer, neighbors. "We see Singapore in two ways," said Drajad Wibowo, a legislator from Indonesia's National Mandate Party. "On one hand as a role model for development; on the other hand, many see Singapore as an arrogant economic giant, which is prepared to use its financial muscle to undermine neighboring countries." Singapore's problems with its neighbors are as old as the country itself. Independence in 1965 came about after it was ejected by Malaysia. Singapore's leaders took advantage of their city's historic role as a trading post to lure investment and manufacturing, vaulting Singapore within 20 years to the ranks of the world's most affluent nations — and breezing past Malaysia, Indonesia and Thailand along the way. While its shrewdness has prompted frequent comparisons to Switzerland, some say its assertiveness places it closer to Israel. In his memoirs, Singapore's founding prime minister, Lee Kuan Yew, said his goal "was to leapfrog the region, as the Israelis had done." Like Israel, Singapore is an ethnic anomaly, a predominantly Chinese population in a predominantly Malay region. Indeed, Singapore even sought advice from Israel on how to build its defenses after independence. As such, Singapore has become a magnet for ethnic Chinese talent and wealth from around Southeast Asia. But while Singapore is part of the region, it often seems to be apart from it. In a region where politics are ruled by nuance and consensus, they say, Singapore can be self-servingly rational, legalistic and seemingly tone-deaf to local sensitivities. "Singapore doesn't really care about the opinion of its neighbors," the former Malaysian prime minister Mahathir bin Mohamad said to a Thai television station in January. "Singapore believes the most important thing is what profits Singapore." "Their values and their efficiency don't export well," said Broadfoot. Singapore's officials, for the most part, are not apologetic. "For Singapore, the rule of law and the protection of property are absolutely important from the days we were established as a trading post for the British East India Company," said Foreign Minister George Yeo in a written response to questions. "Why else would this piece of rock, amidst thousands scattered in the archipelago, flourish?" In Singapore's Parliament, legislators recently complained that Singapore was being picked on unfairly. One member of Parliament blasted efforts by neighbors to make Singapore a "scapegoat for their own domestic troubles." But as the disputes accumulate there are also voices in Singapore calling for a change of approach. PUTRAJAYA: Tun Dr Mahathir said yesterday that the claims by former Sabah Anti-Corruption Agency director Mohamad Ramli Abdul Manan were part of moves to tarnish his name. The former prime minister said Mohamad Ramli’s claims that Dr Mahathir had placed him in “cold storage” were akin to accusations made by former Malaysia Airlines chairman Tan Sri Tajuddin Ramli. Tajuddin had claimed that Dr Mahathir had directed him to buy shares in the national carrier to bail out Bank Negara. “It is all very easy to make accusations but show proof,” he told reporters after giving out appointment certificates to 10 honorary members of the Kuala Lumpur Malay Chamber of Commerce at his office here. Dr Mahathir is a Grand Fellow of the chamber. Mohamad Ramli had claimed that he was “put in cold storage” on Dr Mahathir’s instructions for investigating former Land and Cooperative Development Minis- ter Tan Sri Kasitah Gaddam for corruption. Dr Mahathir said there was no truth to those claims and he was never informed when ministers were investigated by the ACA. He said he was only informed if a minister was going to be charged with graft. Asked to comment on the Hong Kong-based Political and Eco- nomic Risk Consultancy (PERC) report that Malaysia’s economy was perceived to more corrupt this year than last year by foreign businessmen, Dr Mahathir said it showed that efforts to reduce corruption had failed. (The Sun) SHAH ALAM (March 13, 2007): The nine-man unit of the Klang Municipal Council (MPK)'s enforcement division which is being investigated for abduction and assault has a sullied reputation. According to sources familiar with the division's activities, this particular unit has been the subject of several complaints from the public on the manner in which it carries out its duties. "Apparently they are high-handed and rough when enforcing the law," said one source. Councillor Datuk Teh Kim Poo said he has also received complaints about the unit and the enforcement division in general. "They are reportedly rude and high-handed, especially when enforcing parking regulations. "They even summoned me although my car carries a councillor's emblem," said the Pandamaran assemblyman. (Free parking is among privileges enjoyed by councillors). "They need to go for training." Three enforcement officers have been "pooled" - given desk duties - since the March 7 incident where Pua Chia Teng was dragged out of his shop, bundled into a car and taken to the Klang Police Headquarters. This followed an alleged altercation between Pua's brother Khiau Seong and an MPK parking attendant when the latter issued a parking fine to Khiau Seong. Chia Teng was later released and filed a counter report. Police, meanwhile, will be concluding its investigations next week. Klang deputy OCPD Supt Mohan Singh told theSun that neither party has been called to give their statements. "We still need some time to investigate but we hope to wrap things up by next Tuesday," he said. Meanwhile, it is understood that the focus of MPK's internal inquiry is on the unit leader. "They wouldn't have acted that way if not for the go-ahead from the unit head," said an MPK official. Mentri Besar Datuk Seri Dr. Mohd Khir Toyo wants stern action to be taken against the officers. Mohd Khir who was shown a video clip of the incident (taken with a camera phone by a member of the public) Tuesday made available to theSun, said he was "disturbed" by what he saw. While leaving investigations and subsequent action to MPK and the police, the mentri besar said it was easy to identify the culprits and wants those found guilty to face the music. So Malaysia is more corrupted than the year before. Any comment from our PM regarding this? How about from our Anti-Corruption Agency Director? Oop, sorry he is under investigation for corruption allegations too. (The Star) PETALING JAYA: Malaysia’s economy is perceived by foreign businessmen to be more corrupt this year compared to last year, according to an annual survey carried out by Hong Kong-based Political and Economic Risk Consultancy (PERC). The survey results that were released yesterday polled 1,476 expatriate business executives in 13 countries and territories across the region in January and February. In a grading system with zero as the best possible score and 10 as the worst, Malaysia was ranked seventh with a score of 6.25. When contacted in Hong Kong, PERC managing director Robert Broadfoot said this was a slight decrease from 2006 when Malaysia scored 6.13 although it was still better than the 2005 score of 6.80. “This corruption perception index is something we’ve done for over 20 years now and although perception and reality are different things, when it comes to corruption, it becomes very important,” he said. “Companies usually base their investment decisions on perception, not reality. If companies perceive the situation in a particular country to be difficult, then that is likely to work against their decision to invest,” he said. Broadfoot added that those polled included managers of multi-national companies and banks. The most corrupt economy according to the survey is Philippines with a score of 9.40, followed by Thailand and Indonesia, both with scores of 8.03. Malaysia’s score has Transparency International Malaysia (TI-M) president Tan Sri Ramon Navaratnam worried although he contends that perception surveys are not perfect. “However, they are the best indication of people’s thinking and assessment of the state of corruption in any country,” he said. “I would not dismiss it easily as mere perception since consistent perceptions reflect reality,” he added. Navaratnam said he found perception surveys like these difficult to understand especially if Malaysia was rated as bad as China. Navaratnam hoped the Government would give greater concern to the TI-M perception survey index, which TI-M hopes to improve on in consultation with all authorities and non-governmental organisations. He said persistent reports of the poor perception on corruption undermined the feel-good factor Malaysians now enjoyed. "Better feeling"? With all recent crisis, I think PM is waiting for the "better feeling" to re-appear from somewhere. KUALA LUMPUR, March 12 (Bernama) -- A general election will only be held when the time is right, said Datuk Seri Abdullah Ahmad Badawi although he did not discount the possibility that it could be held this year. "We have a lot more work to do. There is a better feeling among the people than before but we want to better this better feeling," the prime minister told reporters after chairing the Barisan Nasional supreme council meeting at the Umno headquarters at Menara Dato' Onn. He said the Barisan Nasional (BN) government must fulfil the promises that it had made to the people in the last general election. "A manifesto does not mean only five years. Our manifesto for the last election is also contained in the Ninth Malaysia Plan and all the programmes that we implement are based on the manifesto," he said. He was asked to comment on speculations that the government would call for snap polls at end of this year or early next year. The last election was held in 2004 and Parliament's current term will end in 2009. Abdullah, who is also the BN chairman, said Monday night's supreme council meeting, which lasted over three hours, did not discuss the distribution of seats among the 13 BN components nor did it touch on a cabinet reshuffle. Asked about the opposition parties having started their preparations for the next general election, he said: "We will face them anytime". (NST) KOTA BARU: Lawyers for the businessman accused of attacking Tun Dr Mahathir Mohamad with pepper spray failed to get the case dismissed. The lawyers for Datuk Nik Sapeia Nik Yusof filed a preliminary objection on the grounds that the prosecution did not follow proper procedures. But magistrate Mohd Azman Mustapha rejected it. At the magistrate’s court, counsel Zainal Abidin Mustaffa had argued that the prosecution erred when it submitted a summons for Nik Sapeia to appear before court to face a charge under Section 324 of the Penal Code. The charge stated that Nik Sapeia had allegedly caused hurt to four people, including the former prime minister, with a dangerous substance through the use of a spraying instrument. The charge carries a maximum three-year jail term, a fine or whipping. "This charge requires an arrest, but instead of issuing an arrest warrant, my client was given a summons. "If the court continues to hear this case, we would be a laughing stock because this charge requires an arrest and not a summons. "So I appeal to the magistrate to dismiss this case as it is prejudicial to my client and release him," Zainal Abidin told the court. In her reply, deputy public prosecutor Raja Rozela Raja Toran argued that the charge against the accused was still valid since legal principles stated that the court had jurisdiction to try him irrespective of the manner in which he came before the court. Raja Rozela said this was made clear in the case of Public Prosecutor v Liew Choo Kwong and others (1962) and Saminathan v Public Prosecutor 1937. In dismissing the objection, Mohd Azman said while he agreed with the defence that an arrest warrant was required and not a summons, and that the police had not followed proper procedures, the court was of the opinion that this did not prejudice the accused. Zainal Abidin said he would seek a review of the magistrate’s decision from the Kota Baru High Court. Azman agreed to postpone the hearing until today so that Zainal Abidin can seek a revision. In the incident on July 28 last year, Dr Mahathir was hit with a gust of pepper spray as he was giving a speech from the sunroof of a vehicle at the Sultan Ismail Petra Airport. Earlier court date equals to earlier execution? KUALA LUMPUR: The father of dead Mongolian beauty Altantuya Shaariibuu is pleased that his daughter’s murder trial has been brought forward. Dr Shaariibuu Setev said he was informed of the good news by Mongolian consul Datuk Syed Abdul Rahman Al Habshi last Friday. “It gives me great relief to hear this,” he said by telephone in Ulan Bator yesterday. C/Insp Azilah Hadri, 30, and Kpl Sirul Azhar Umar, 35, have been charged with murdering Altantuya while prominent political analyst Abdul Razak Baginda, 46, has been charged with abetment. The three are alleged to have conspired to commit the murder at Bangunan Getah Asli in Jalan Ampang here between 9.45am and 11.05am on Oct 18 last year. He said a grand funeral for Altantuya, his eldest daughter, had been planned early this year but the family decided to postpone it until the trial was completed. “I want to collect all the remaining bone fragments of her still being held by the police in Malaysia before holding the grand funeral. Based on our beliefs, a person’s soul won’t rest in peace if body remains are kept apart,” he said. What is going on in the brains of the management of Proton? It's clearly Proton is dying, and if they're really serious of salvaging the first car manufacturer of the country that used to be the proud of the nation, something should be done quickly!!. Stop the talking and please show some actions instead. March 9 (Bloomberg) -- The Malaysian government may miss its deadline to find a partner for Proton Holdings Bhd. after Volkswagen AG and General Motors Corp., potential investors for the unprofitable Asian carmaker, said no decision is imminent. The government has said it will find an outside partner for the state-controlled company before April. The company's cash on hand has fallen 66 percent over the last year to 412 million ringgit ($118 million) as of Dec. 31. PSA Peugeot Citroen ended talks with Proton this week and Volkswagen's and GM's chief executives said talks were still in early stages. Proton, which last month reported its biggest quarterly loss in at least eight years, has sought an alliance since Mitsubishi Motors Corp. ended their partnership in 2004. "The company is not making money and they keep turning out models that don't really sell," said Rosnani Rasul, an analyst at TA Securities who rates the company "buy" on the expectation they'll win a partner. "This year they're going to be losing something like 700 million ringgit, wiping out shareholders' funds. Without a partner, they've got only two or three years to last and I'm being generous." The company needs help coming up with new designs and technology to stem falling sales at home, where it is losing ground to rivals Perusahaan Otomobil Kedua Sdn. and Toyota Motor Corp. For Volkswagen and General Motors, an alliance with Proton may provide them better access in Asia, including Japan, the world's third-biggest car market. Under a free trade agreement signed between Malaysia and Japan, Malaysian-made cars will be able to be distributed in Japan without import duties by 2012. Talks on Proton remain "extremely" preliminary, General Motor Chief Executive Officer Rick Wagoner said in a March 6 interview. "It's my sense that there's a lot of work to do." "You can always talk," Volkswagen's Chief Executive Officer Martin Winterkorn said in a separate interview the same day. "You can expect some kind of decision in the next half year." Malaysia's government controls Proton though a 43 percent stake held by Khazanah Nasional Bhd., a government investment unit. Former Prime Minister Mahathir Mohamad, who set up Proton in 1983, said last year the business will collapse without a foreign partner. Proton shares have added less than 1 percent this year, trailing a 9.1 percent gain by the benchmark Kuala Lumpur Composite Index. The shares fell 1.5 percent to 6.65 ringgit as of 12:27 p.m. in Kuala Lumpur. GM last year added Malaysia to a list of 11 emerging market countries where the Detroit automaker is trying to increase sales. GM sold 55 percent of its cars and trucks outside of the U.S. last year and Asia-Pacific was the most profitable region for the company. It only sold 991 vehicles in Malaysia. GM is cutting $9 billion from costs this year after convincing 34,300 U.S. union workers to leave early as part of a plan to close 12 North American locations by the end of 2008. GM lost $10.6 billion in 2005 and $3.03 billion in the first nine months of last year. The company "has so many problems of its own that a tie-up with Proton does not make business sense," said Donald Gimbel, who manages about $1.8 billion at Carret & Co. in New York. "They have too many brands as it is." Vehicle sales in Malaysia, the largest passenger car market in Southeast Asia, fell 11 percent to 490,768 units last year, the first decline in three years as lower used-car prices, stricter lending, costlier fuel and higher interest rates curbed demand. Malaysians typically sell their old cars to fund new purchases. The Malaysian Automotive Association predicted vehicle sales will be little changed at half a million units this year. Last year the government ended more than two decades of tariff protection for Proton by cutting import duties for cars made in Southeast Asia. 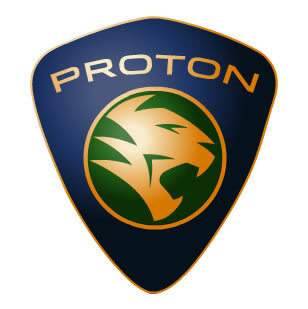 Even with tariff protection, Proton has lost market share. Proton's market share fell to 32 percent in 2006 from 40 percent in 2005, according to the Malaysian Automotive Association. "The crucial question at the end of the day is, is it worth it" to invest in Proton, said Marc-Rene Tonn, an analyst at MM Warburg Investment, based in Hamburg. PUTRAJAYA (March 9, 2007): Police will call Anti-Corruption Agency (ACA) director-general Datuk Seri Zulkipli Mat Noor for his statements after considering the facts of the case pertaining to allegations of corruption and power abuse against him. Inspector-General of Police (IGP) Tan Sri Musa Hassan said police were focusing on allegations by former Sabah ACA director Mohamad Ramli Abdul Manan and properties owned by Zulkipli in 10 years. “After we have finished synchronising the facts, we will get statementsfrom Zulkipli,” he told Bernama after the monthly assembly of the Internal Security Ministry, attended by Prime Minister Datuk Seri Abdullah Ahmad Badawi here today. Musa, who declined to elaborate further on the probe, said police were still investigating and asked the media to be patient and refrain from sensationalising the case. Yesterday, Bernama reported that police needed some time as they had to dig into cases which had been reported 10 years ago. Ramli, who went on compulsory retirement last Dec 8, lodged a police report last July alleging that Zulkipli was a “corrupt senior police officer who owned properties and assets through corrupt practices”. Following Ramli’s allegation, the Parliamentary Select Committee on Integrity had scheduled a meeting with Zulkipli and Ramli on Monday (March 12) but this has been cancelled. involving the case, includinga suit which was filed by Ramli against Zulkipli and several government agencies. On Wednesday (March 7), Ramli filed a civil suit against Zulkipli and five others for libel and slander and for holding back his pension and retirement benefits since last year. SHAH ALAM, March 9 (Bernama) -- The Mongolian national Altantuya Shaariibuu murder trial has been brought forward before a Judicial Commissioner to June 4, this year. Judicial Commissioner Datuk Mohd Zaki Md Yasin who took over from judge Datuk K.N. Segara, fixed the new date after the case came up for mention Friday. He fixed one month from June 4 untill June 29 for the trial. The same High Court had earlier fixed four weeks from March 10 next year for the trial as the court had too many backlog cases to hear. Mohd Zaki said the trial of the case had been expedited following the appointment of three new judicial commissioners to hear the backlog criminal cases in Shah Alam High Court. He also said that the case was transferred to him as Segara has a lot of partly heard cases to handle compared to him. Abdul Razak Baginda, 46, a political analyst is accused of abetting two policemen from the special unit force to murder Altantuya. The case attracted wide publicity following the discovery of the remains of the 28-year-old Altantuya in a forest in Puncak Alam here, in November last year. Her body had been blown to bits with explosive. Abdul Razak allegedly committed the offence between 9.54 am and 11.05 am on Oct 18 last year, at level 10 Bangunan Getah Asli in Jalan Ampang, Kuala Lumpur. C/Insp Azilah Hadri, 30, and Kpl Sirul Azhar Umar, 35, were accused of murdering the woman in Lot 12843 and Lot 16735, Mukim Bukit Raja, Selangor, between 10pm, Oct 19 and 1 am, Oct 20 last year. Razak is charged under section 109 of the Penal Code, read together with Section 302 of the same code which carries the mandatory death sentence, if convicted. Razak is currently withheld in prison pending the trial following his failure in several attempts to be released on bail on health reasons. Mohd Zaki explained that all the three accused were not brought to court for today's proceeding as today was only fixed for mention to determine the trial dates. So there is no "First Lady" for Malaysia? KUALA LUMPUR, March 6 (Bernama) -- Prime Minister Datuk Seri Abdullah Ahmad Badawi said talks of his "impending" marriage are only rumours. "They are all rumours. Only rumours," he told reporters after a briefing by the Bank Negara board of directors here Tuesday. A smiling Abdullah fended off questions from reporters with "Only Rumours" several times. Talks that Abdullah would remarry had surfaced in recent months but gathered steam when the media received `information' that the marriage had been fixed for last Saturday. Abdullah's "impending" marriage was also the subject of a blogsite. Dear PM, are you referring to the case where your famous son-in-law alledgely has purchased tremendous amount of ECM-Libra shares? Or are you referring to the case where you were alledged of purchasing a yatch at Turkey? or are you referring to the current case related to the ACA chief? So are you saying that most of the allegations are baseless? PUTRAJAYA (March 5, 2007): Prime Minister Datuk Seri Abdullah Ahmad Badawi says the government will not act against anyone based on perceptions, but on hard evidence and facts. He said allegations of corruption based on perception are aplenty, adding that 85% of these reports were baseless. "Of late, we have been hearing reports on corruption. Of course, no one likes corruption. But what is important is that all actions and investigations must be done fairly," he said at the monthly assembly of the Prime Minister's Department today. Abdullah said taking action based on facts rather than perception is important, adding officers appointed by the government are vetted carefully and thoroughly. "This includes the Barisan Nasional candidates contesting in the general elections," he said. He added the government ensured proper clearance was secured before one was appointed. He said it was understandable the people wanted an administration that was of high quality and without any corruption, as this would ensure the success of the country. Last week, Anti-Corruption Agency director-general Datuk Zulkipli Mat Noor was in the limelight after Movement for Democracy and Corruption chairman Ezam Mohd Noor publicised allegations of graft and sexual crimes against him. Ezam had said in a press conference a retired ACA officer Mohd Ramli Manan had discovered the allegations and had informed former Inspector-General of Police Tan Sri Bakri Omar in 2003, but no action was taken. Ramli, who headed the agency in Sabah in 2002, also said Zulkipli had been investigated for a sexual offence alleged by a housewife in reports filed at police stations in Dang Wangi, Segambut and in Mambau, Negri Sembilan. He also claimed Zulkipli owned several business interests and properties, including six houses in Pagoh, Johor and that he had misused goverment vehicles to check on properties and businesses. Both the police and the Attorney-General (A-G)'s Chambers had said the sexual misconduct report had been investigated thoroughly but it was found that there was not enough ground for prosecution. The corruption allegations are now being investigated by the police and the A-G's Chamber. Yesterday, Deputy Internal Security Minister Datuk Mohd Johari Baharum was accused in website postings of accepting a total of RM5.5 million in bribes to facilitate the release of three Emergency Ordinance (EO) detainees. Johari described the allegations, sent annonymously to ACA and posted on the Internet as "malicious slander." On the Prime Minister's recent trip to overseas, Abdullah said following discussions with many heads of government, minister and businessmen, many people had high regards for the country and its people, especially with regards to economic development, unity, tolerance and racial integration.